Following yesterday’s news of Steve Jobs’ resignation as CEO and Tim Cooks appointment to the position.Apple new CEO, Tim Cook, sent out a letter to his staff early this morning in regards to the transition and future of the company. The letter contains words of encouragement and reassurance that Apple is ‘not going to change’.While the letter is short, it very powerful and affirming to know that the magic isn’t going to end with the absence of Steve Jobs. 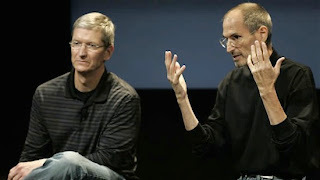 0 Respones to "Letter To Employees Apple’s New CEO Tim Cook"